With the all the holidays, this was a shorter month for us, so I have combined the General Update with another Character Concept below for a single update. Make sure to read to the bottom so you don’t miss it. I'm hoping to make a significant announcement later in January. We are on track to have a completed new outline for all 5 chapters by the 31st. This is an exciting milestone because so many of the future milestones depend on it, and I am super pleased with it so far. I like to approach the story in layers. The goal is always to get to a complete outline as soon as possible, so you know your beginning, middle, and end - which we had for the most part with Matsuno's work. But then we end up doing several iterations that each focus on a different aspect of the story. This first draft was solely focused on piecing the story together and solving design problems. The next one will focus on the High Concept and unique world building elements that have emerged from filling in the holes. After that we'll focus specifically on incorporating game design elements like character classes and the magic system back into the world. etc. Right before the holiday break, the team delivered the Design Direction Document, which is a precursor to the full Game Design Document. The DDD captured a lot of the notes and design recommendations from our November meetings and attempted to organize the whole design in high level terms. This document had breaks every section for me to fill in my own notes or comments to help refine the ideas. The full Game Design Document will build on this and add specific game flow screens, full class breakdowns, equipment itemization, and level walkthroughs. The engineering team has started work building our Tactics engine. During some of their initial testing, we built the notes on the Triangle Grid, which I posted last month. I typically refer to this early part of engineering as the "Ugly Duckling" stage, because the engineers get very little art support. However these first couple of demos are very important for exploring game mechanics and systems, so I'm looking forward to them. I saved this one for last. Lots of work is going on with this group including building the first couple 3D models to try and capture the final look and feel. We also have another Character Concept that I feel comfortable sharing. We are calling this one our Mana Attacker (for the school and role she is from). This class deals a lot of ranged spell damage, and we’re toying with making her PlayDek’s “War Mage”, but none of the class names are final right now. For this concept we wanted to go the exact opposite of our Divine Defender. This is our first exploration into the Mana school with a female character not wearing armor. James Wherley, Sean, and 121 more people like this update. Art looks great. Simple, iconic. I like that the swoop of her boots is mirrored in her skirt and cuffs and hair and hat and one shoulder pad! @Steve - We announced in December's update that the game would be launching in Q4 2019. Thank you for your patience. Sooooooo...... When is the release date again? I contributed back in 2014, and i was just curious. 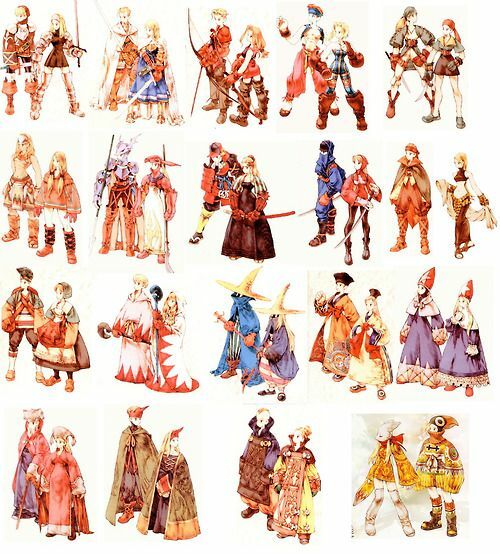 The artwork looks fantastic similar but different style to FFT. I really like the progress updates and consistent communication. Good work! @Francis - Agreed. You’ll notice the final version of the concept didnt have them. These updates are really great Mr. Scott. I have always wondered what goes in to game development and this transparency on the process is something I have never seen before. I continue to be excited about the progress you and your team have been making. So good luck and Godspeed. Like what I’ve seen so far guys. Except that face. I’m not a fan of the facial artwork. Also doesn’t seem to befit the style of the rest of the body. And some eye candy concept art is always a welcomed sight! I like this concept art a lot! Thank you for continuing with the substantial updates, even when you are rushed. You are doing a fantastic job with the communication on this project. For the Mana Attacker, I would say pass on the red staff unless you are purposely going for a fire effect. Blue has always signified raw mana to me more than any other color. Love that Mana Attacker artwork. B, C and E seem to have the best colour schemes...any chance we could see that larger to get a better look at how the colours look? I think C has the best colour palette.